As winter approaches, we decided it might be fun to look back at some of the great Chicago blizzards in years gone past through the eyes of the people who lived through them. Oh yes, the big storm of ‘sixty-seven. I’d been ten then, and it seemed like a winter fairyland to me. Two feet of snow fell; drifts rose to the height of buildings. The blizzard briefly covered the yellow stains that the steel mills left on our car and house, painting everything a dazzling white. For adults, it had been a nightmare. My dad was stuck at the station for the better part of two days while my mother and I struggled to clean the walks and get to a grocery store. Of course, the mills didn’t shut down, and within a day the mounds of snow looked dirty, old, dreary. 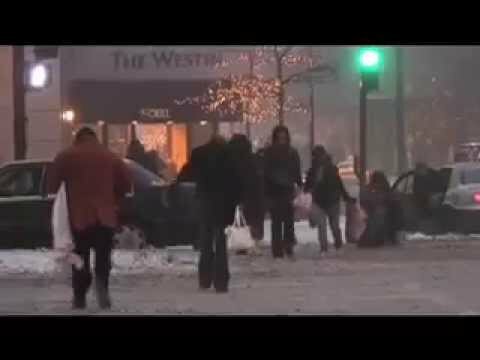 Anyone who has weathered a Chicago winter has similar recollections. 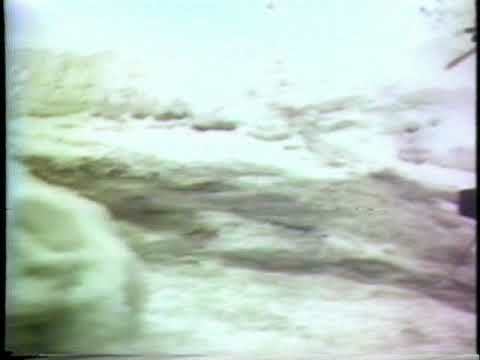 Over the last 70 years, however, some intrepid citizens have bravely taken their home movie cameras out into the storm to give us even more striking images of Chicago in the winter. Notice how the accumulation of snow doesn’t vary much from one decade to another? The blizzard that changed everything came in 1979 at the height of the mayoral election between Jane Byrne and incumbent Michael Bilandic. With side streets shut down and El trains whizzing past inner city stops to get suburban commuters back to the suburbs, people fumed at the city’s incompetent response. 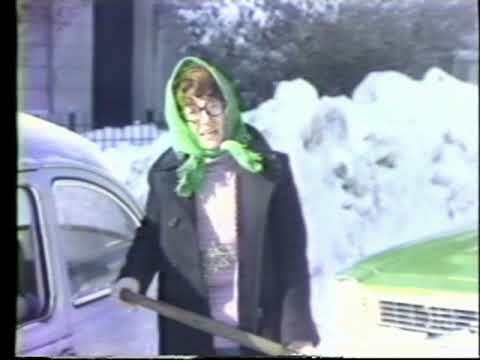 The Blizzard of ’79 has had an enduring effect on all Chicago winters thereafter. Fearful of a repeat in the first year of her new term, Mayor Bryne instituted one of the dumbest laws still on the city books. From December 1 to April 1 every year, Chicago has a winter parking ban on 107 miles of main thoroughfares and a warning of imminent towing anytime the snowfall exceeds 2” on 500 more miles of secondary roadways. Never mind that the National Weather Service says that on 100 of those 120 days there is no snow at all or, on average, the snowfall exceeds 2” on only six of those days. The city tows nonetheless, and the cost of redeeming your vehicle now runs well over $200. I had a small part in this debacle. After producing Bryne’s political commercials, I was called in to make public service spots announcing the new plan. I created a cartoon character named Skippy The Snowball who appeared on TV, graced Streets & Sanitation brochures, and even marched in the city’s Christmas parade in a costume donned by the mayor’s daughter Kathy. 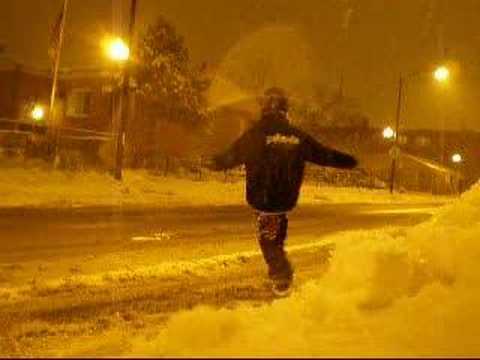 In the months ahead, get your cameras ready to record your own memories of winter in Chicago. The Week Behind will gladly publish any that come our way. Meanwhile, let me leave you with my favorite spot from the Skippy The Snowball series. Forewarned is forearmed.